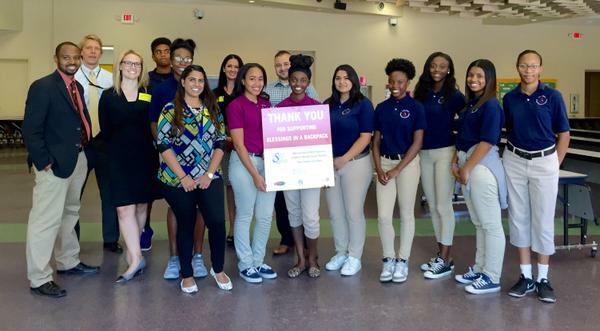 LAS VEGAS, N.V. – September 17, 2015 – In celebration of National Blessings in a Backpack Day, four local CBS Las Vegas Radio advertisers are partnering with Blessings in a Backpack and CBS EcoMedia to support the provision of free weekend meals for more than 80 Las Vegas area students. This program will provide weekend meals for three full school years with backpack food including easy-to-prepare, ready-to-eat foods, like granola bars, juice boxes, mac and cheese, and oatmeal. To celebrate the partnership, the four participating sponsors, including Barrick Gold of North America, Silver State Schools Credit Union, Southern Nevada Toyota Dealers and Town Square Las Vegas participated in an employee volunteer activity, where volunteers collected, packaged and distributed food for local students. Every weekend, children across the country go hungry because they don’t have enough food to eat. 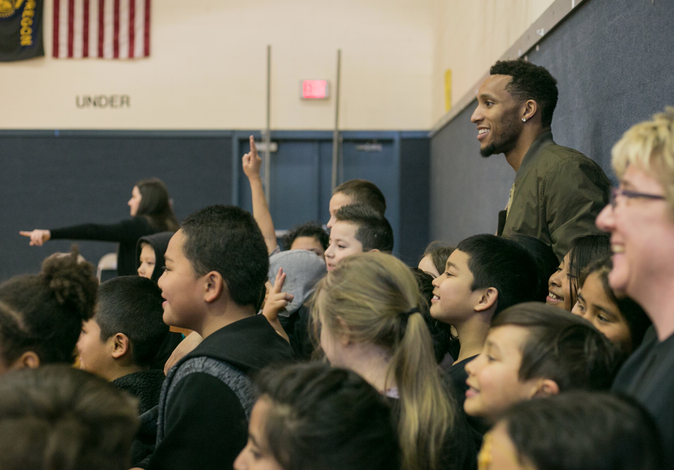 Thirty-one million students in the United States qualify for the Federal Free and Reduced Price Meal Program, and within the Clark County School District, more than 58% of students are eligible for free lunches. While that program provides food during the week, these students often have little or no means of obtaining food on weekends. 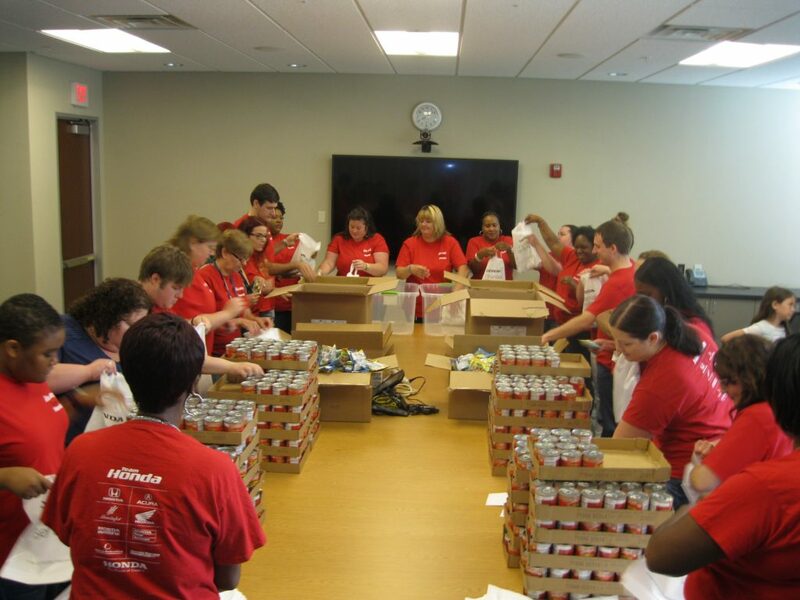 Blessings in a Backpack is a 501(c)(3) volunteer organization that provides food for more than 72,000 elementary school children across 44 states on weekends during the school year, filling a significant hunger gap for these children. About Blessings in a Backpack: Hunger has both short- and long-term negative effects on children’s health and ability to succeed in school. Blessings in a Backpack is a 501(c)3 organization that, through an all-volunteer network, mobilizes communities, individuals and resources to provide food on the weekends for elementary school children across America who might otherwise go hungry. 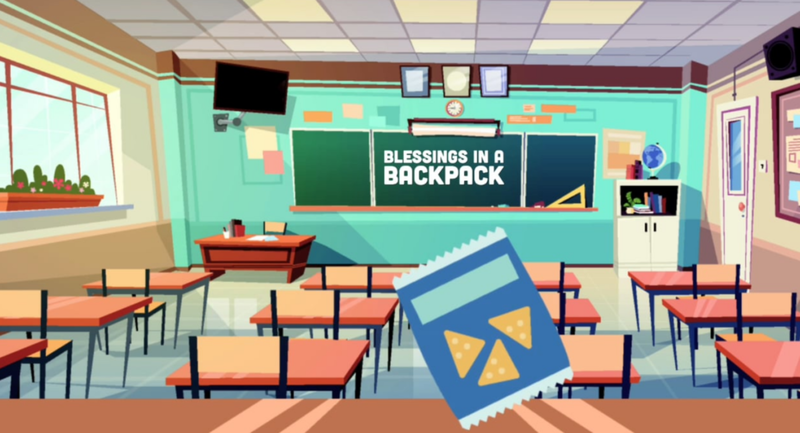 Blessings in a Backpack currently provides nearly 3 million hunger-free weekends to more than 76,000 children in 44 states and the District of Columbia.